The Race 510 is a medium size race wing for high performance foiling, racing in competition or against your friends across the bay. While its flatter arc in the center morphing to inclined towards the tip provides good control, its size and profile are optimized to offer a great speed potential. Twist increases progressively along the span to reduce the drag when pressed hard and make the wing more tolerant when operating close to the free surface. The race 510 wing benefits from the same reliable construction in PRE-PREG carbon molded over a FORGED CARBON core for maximum stiffness. 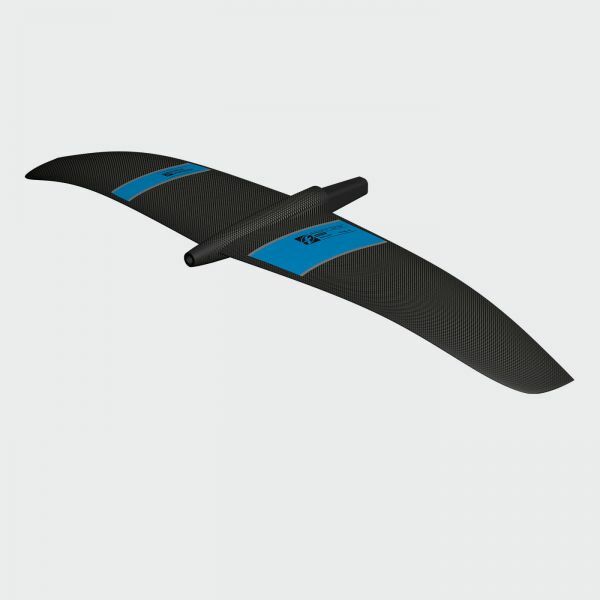 Designed to be fast in all kinds of conditions the Race 510 wing is versatile across the range from upwind to downwind and is therefore ideal for long distance racing. Kapcsolódó linkek "LONG DISTANCE 510"
Vásárlói értékelés "LONG DISTANCE 510"